Discovery STS-114 launches on the Return to Flight Space Shuttle mission! The Shuttle Training Aircraft, piloted by Chief Astronaut Kent Rominger, simulates approaches to the Shuttle Landing Facility on the morning of the first Kennedy Space Center landing attempt, August 8. 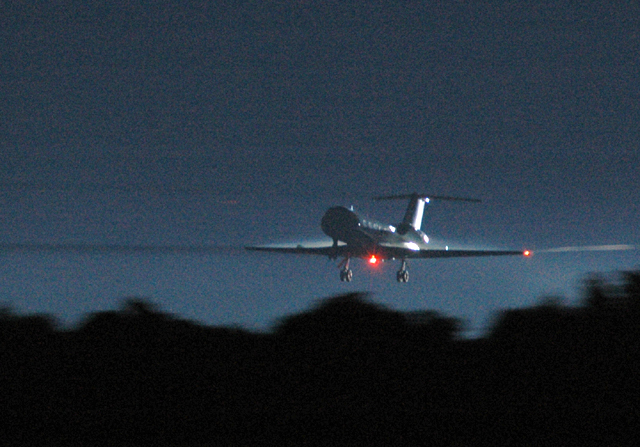 Unfortunately, bad weather forced Discovery to land at Edwards AFB, Calif. the following day.